docAMPS provides a centralized Web-database solution for organizations looking to effectively manage their documents, contracts and agreements. The software also automates document generation and associated revisions. With docAMPS, organizations operate with greater efficiency with standards and controls that are intuitive in design and powerful in function. Best of all, it’s paperless! With docAMPS built-in version control, users gain access to the most recent and approved version of each document. The Alerts and Notifications module is a powerful tool that informs users when a document has been modified or if changes are pending. 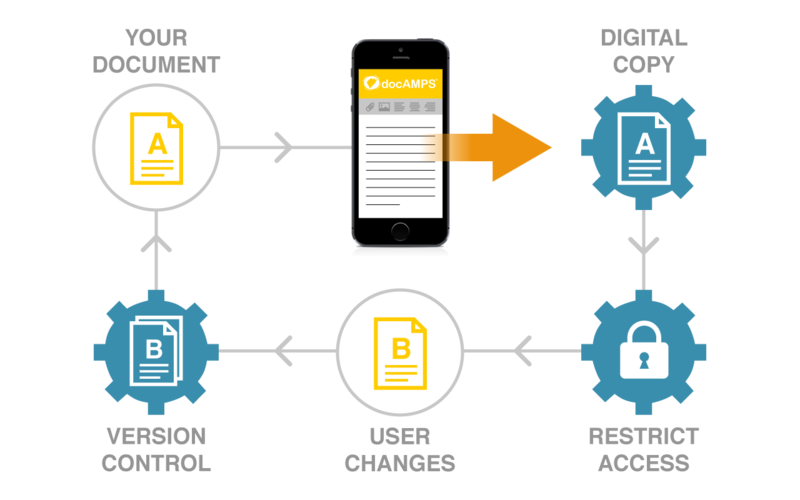 docAMPS can also help manage access of specific documents to individuals within the organization. Document generation and reporting is a fluid process within any organization. Notifications of first drafts, revisions and pending revisions can change frequently. 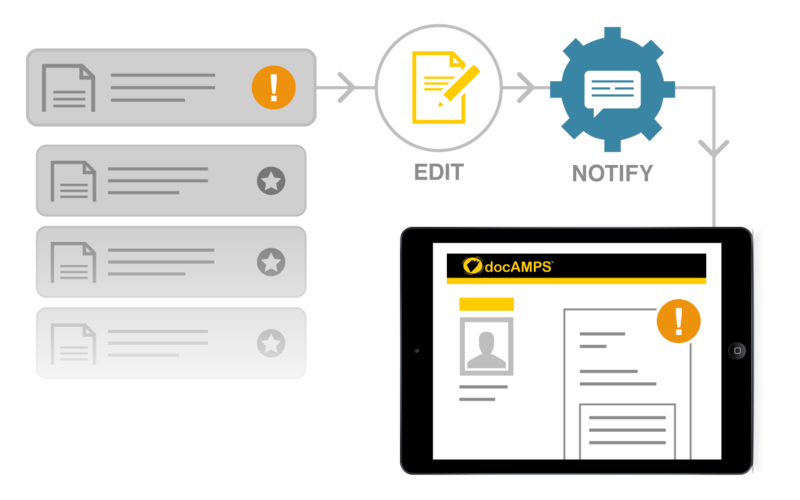 With docAMPS, organizations can change notifications at the touch of a button. Only those people for whom the document is intended will receive it.